eric and brent and fishies! 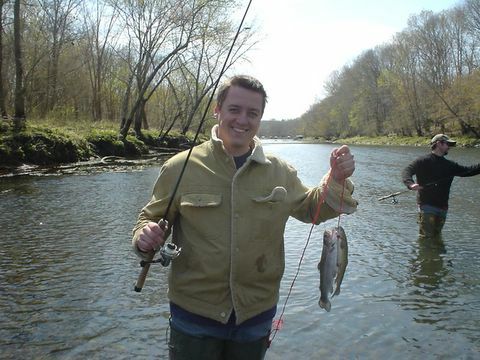 the boys (eric, brent, patrick, karl) went trout fishing on the little red river. brrrrr! I asked Karl what he wanted me to blog about it (because he went to the trouble of taking some pics) and he said, (and i quote), "We had fun. It was cold." Yep. Veeeeeeery descriptive. So, apparently, good trip, eh? You guys need to try fly fishing. Much more of a challenge. Also you got to CATCH and RELEASE. That way when you come back the fishies are still there but now much bigger!! !